Hell yeah! AC/DC has just announced a show at B.C. Place on September 22. The Australian metal legends--fresh off their performance at the Grammy Awards--will tour behind their recent release, Rock or Bust, which busted its way onto my Top 10 Albums of 2014 list. Rock or Bust was recorded right here in Vancouver, with Langley's own Mike Fraser as engineer and mixer. Last year the group sent shockwaves through the music press when it was learned that original rhythm-guitarist Malcolm Young had been admitted to a nursing home, suffering from dementia. Then drummer Phil Rudd was charged with various crimes, including "attempting to procure a murder" and possession of methamphetamine, although the procuring a murder charge was dropped the day after it was laid. Rudd's place spot on drums has been taken by Chris Slade, who performed at the Grammies and had played with the band from 1989 to 1994. He joins vocalist Brian Johnson, lead guitarist Angus Young, bassist Cliff Williams, and rhythm guitarist Stevie Young, replacing his uncle Malcolm. Tickets for the Vancouver show are priced at $125 and $75 (plus service charges and fees) and go on sale Feb. 16 at 10 am here. You can follow Steve Newton at twitter.com/earofnewt and check out his website about rock 'n' roll and horror here. 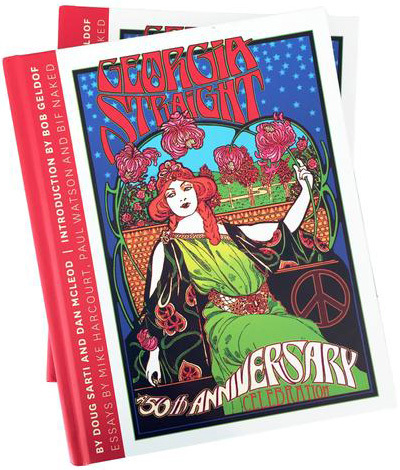 Remember when Georgia Straight had a specific section for new concert listings that was listed clearly and updated often. That was awesome. Thanks for the link Miranda. The event listings are nice but awhile back there used to be a spot where brand new concerts were listed and updated daily. The link you posted is great but you have to scroll through every single event for the year. A spot for just daily new announcements would be so great, unless it's there and I'm just having a hard time finding it. It's still there! If you're on a desktop, the just announced concerts are in the right-hand column (you may have to scroll down). If you're on a phone or tablet, you'll have to scroll down a bit too (passed the confessions, I Saw Yous, and sponsored listings). There is something in the pipes to improve this, however!